NF-S1 RCA-PHONO cables are assembled with ViaBlue™ T6s RCA and T6s phono connectors that both have pins made of bronze. They ensure extremely strong contact pressure and thus very low contact resistance. The NF-S1 cables are braided with the ViaBlue™ Cobra protective sleeve. 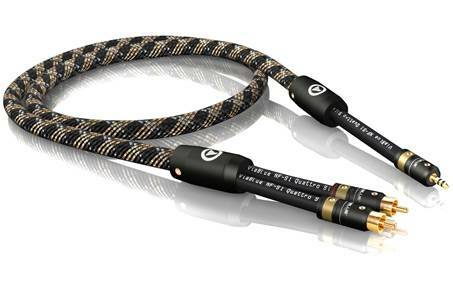 Related links to "ViaBlue NF-S1 Silver Quattro RCA Phono Cable 100cm (Piece)"
Customer evaluation for "ViaBlue NF-S1 Silver Quattro RCA Phono Cable 100cm (Piece)"